Skilled workers who meet criteria for this sub-category are eligible. 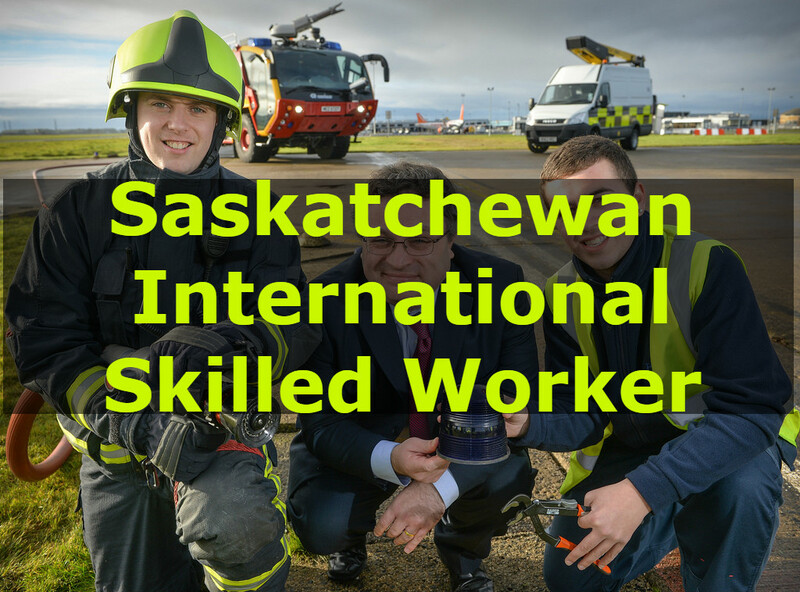 The candidates having no job offer in Saskatchewan can apply, however they must have a status of highly skilled workers in accordance with “in-demand occupation in the province”. In addition to the following criteria, an applicant may apply if living outside Canada or have a valid proof of legal status in Canada. Moreover, refugee claimants are not eligible for this sub-category. Canadian Language Benchmark (CLB) minimum score should be 4 at least. Nevertheless, employers or regulatory bodies have a right to ask for language scores more than CLB 4. Applicants have successfully completed post-secondary apprenticeship, training or education of at least one year in length, equivalent to the Canadian education system. An education degree, certificate or diploma should be furnished with the application. An experience of at least one-year work in the past 10 years is also required in relevant field of training occupation or education. Must have a matrix level “A”, “B” or “0” regarding “High Skilled” occupation in the National Occupational Classification (NOC), which is in-demand in province. A Valid proof of Saskatchewan licensure eligibility should be furnished. This clause is applicable only if the occupation you want to join falls under a compulsory apprenticeship trade or regulated profession. Need to provide proof of settlement funds and actual settlement plan. The federal government decides the true amount of nominations made by SINP every year. The maximum number of application received in a particular year is also fixed by SINP. However, there is no guarantee for acceptance or nomination of any application. Following candidates are not eligible for International Skilled Worker Category: Occupation In-Demand sub-category. Those who have claimed refugee status from the Government of Canada are not eligible to apply. It is not possible to seek a nomination if any one of these ineligibility clauses is found in the presented case. Applicant has intentionally misrepresented his/her status in the application presented to SINP. As discussed earlier, a minimum score of 60 points out of 100 points is required on the Point Assessment Grid in order to seek eligibility for the nomination. Interactions with the Saskatchewan labour market. In order to fulfill eligibility criteria and points factors, proper documents are required to be attached to support nomination application. For instance, if the applicant for having a university degree has claimed 20 points, he/she must provide a copy of university degree. If the language of attached transcript is other than English or French, a translated version of said document should be attached. Guidelines for the application Process are provided by SINP and it is advised to follow the same to avoid further complications. To understand what is actually required by the concerned authorities, please refer to the Important Words and Definitions catalog displayed by SINP. All necessary documents to support the nominations should be attached with application. In case, submitted application is not in accordance with provided guidelines, it may be rejected. Following things are required to be considered while furnishing all necessary documents. There is no restriction to use the services of immigration representative or consultant while applying to SINP, however, before doing so, make it clear that such representative is holding a license by the concerned authorities. The best thing about using the services of immigration representative or consultant is that all the filling process is completed in a hassle free manner. Moreover, in the case of rejection, professional guideline is provided by such representative, as what went wrong and how to deal with it. If you have a Bachelor’s Degree or Master’s Degree in Social Work, provide your assessment of equivalency letter from the Canadian Association of Social Workers (CASW). If your education is in a discipline other than social work the CASW will not assess your credentials. Provide your educational credential assessment (ECA) from a designated organization. You must have completed a four year degree program in a social science field. 1226 Conference and event planners You must have completed a degree or a minimum two year diploma program in hospitality, public relations or tourism. You must have completed a minimum two year diploma program in accounting which includes specialized courses in automated accounting, taxation, financial and cost accounting, auditing, intermediate accounting, managerial accounting and accounting information systems. For more information, visit the provincial regulator the Canadian Association of Information Technology Professionals (CIPS).http://sk.cips.ca/certification You must have completed a minimum three year program in computer science, information technology, computer science systems, or a related discipline in integrated multimedia or computing science. Computer Science engineering programs will not be considered. 2251 Architectural technologists and technicians You must have completed a degree or minimum two year diploma program in architectural technology. 2255 Technical occupations in geomatics and meteorology You must have completed a minimum two year diploma program in cartography, photogrammetry, aerial survey, remote sensing, geographic information system or geomatics. Provide a copy of your valid licensure from the Saskatchewan Society of Medical Laboratory Technologists (SSMLT) or Provide a copy of the Credential Document Review letter from the SSMLT Registrar indicating you meet initial eligibility requirements to apply to the Saskatchewan Society of Medical Laboratory Technologists (SSMLT) for a license. NOTE: To determine eligibility for an SSMLT licence, the applicant must first obtain a Prior Learning Assessment (PLA) report from the Canadian Society for Medical Laboratory Science (CSMLS) for the Credential Document Review application. Provide a copy of the email from the SAMRT Registrar outlining your eligibility to apply to the Canadian Association of Medical Radiation Technologists (CAMRT) to have your credentials assessed; AND a copy of the letter from the CAMRT notifying you of your assessment result and access to the national certification exam. Provide your Examination Confirmation Letter (ECL) or proof of Sonography Certification from the American Registry for Diagnostic Medical Sonography (ARDMS) . Provide a copy of your valid licensure from the Saskatchewan College of Paramedics (SCoP); or Provide a copy of the correspondence from SCoP outlining your eligibility to apply to write the national certification exam related to your practice level. If your education is in a discipline other than social work the CASW will not assess your credentials. Provide your educational credential assessment (ECA) from a designated organization. You must have completed a degree or minimum two year diploma program in social work, child and youth care, social science or psychology. Level II or III Early Childhood Educator Certification is required for SINP eligibility. Provide copies of your assessment letter, the Early Learning and Child Care Assessment Sheet, and your Certificate of Qualification at Level II or III in Early Childhood Education from the Saskatchewan Ministry of Education. 4215 Instructors of persons with disabilities You must have completed a degree or minimum two year diploma program with a specialization in special education, rehabilitation, orientation and mobility, visual impairment, hearing impairment or intellectual disability. You must have completed a degree or minimum two year diploma program in recreation, sports or fitness discipline. For Express Entry applications, provide a Certificate of Qualification from the Saskatchewan Apprenticeship and Trade Certification Commission (SATCC). For Occupations in Demand applications, provide a letter of approval from the Saskatchewan Apprenticeship and Trade Certification Commission (SATCC), stating that you have completed the trade qualifier assessment (step 1) and you are eligible to write exams in Saskatchewan. If you hold a certificate of qualification from another Canadian province or hold a Red Seal certification, provide a copy of your certificate. You must have completed a meat cutting apprenticeship program, or vocational training in meat-cutting which includes at least two years of on the job training. 6332 Bakers You must have completed a minimum two year diploma program or a vocational training program specializing in baking and pastry arts which includes at least one year of on the job training. You must have completed an apprenticeship or vocational training program specializing in costume and dressmaking which includes at least two years of on the job training within your program. If you hold a certificate of qualification from another Canadian province or hold a Red Seal certification, provide a copy of your certificate. You must have completed an apprenticeship program or vocational training as a glazier. If you hold a certificate of qualification from another Canadian province or hold a Red Seal certification, provide a copy of your certificate. You must have completed an apprenticeship program or vocational training as a heavy-duty equipment mechanic/technician. If you hold a certificate of qualification from another Canadian province or hold a Red Seal certification, provide a copy of your certificate. You must have completed an apprenticeship program or vocational training as either an automotive service technician, truck and bus mechanic, or mechanical repairer. If you hold a certificate of qualification from another Canadian province or hold a Red Seal certification, provide a copy of your certificate. You must have completed an apprenticeship program or vocational training as a motor vehicle body repairer. 7332 Appliance servicers and repairers You must have completed a vocational training program in appliance repair or completed a three or four year apprenticeship program in appliance repair. Note: Heating, refrigeration and air conditioning mechanics, gas appliance repair and related occupations are excluded from this NOC where licensing is compulsory in Saskatchewan.